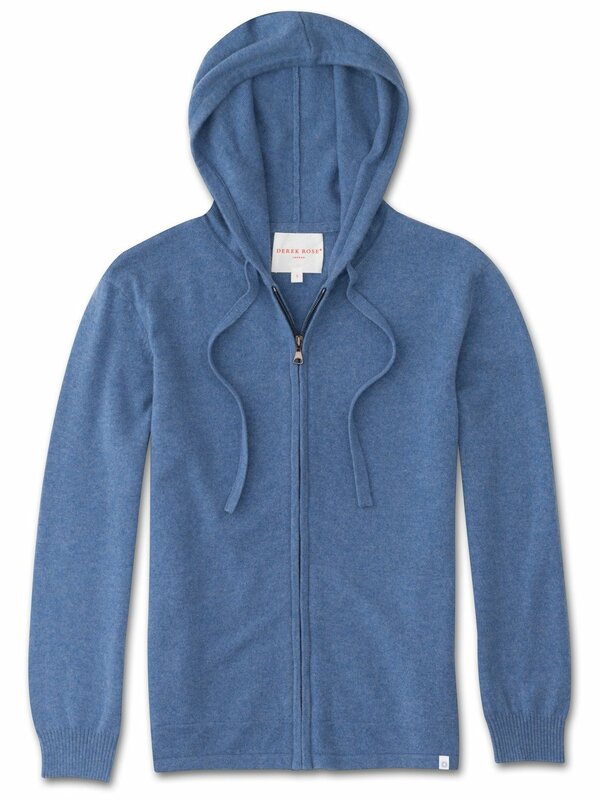 Our Finley 2 blue women's cashmere hoodie has a flattering but comfortable shape. The starting point for Finley 2 was the grade of pure cashmere we chose — a luxuriously soft 12 gauge pure Italian cashmere made by Loro Piana, which we consider to be best in class. Touch this fabric and you'll be reminded what cashmere should feel like. The material hangs wonderfully, for a look that's as luxurious as the feel. 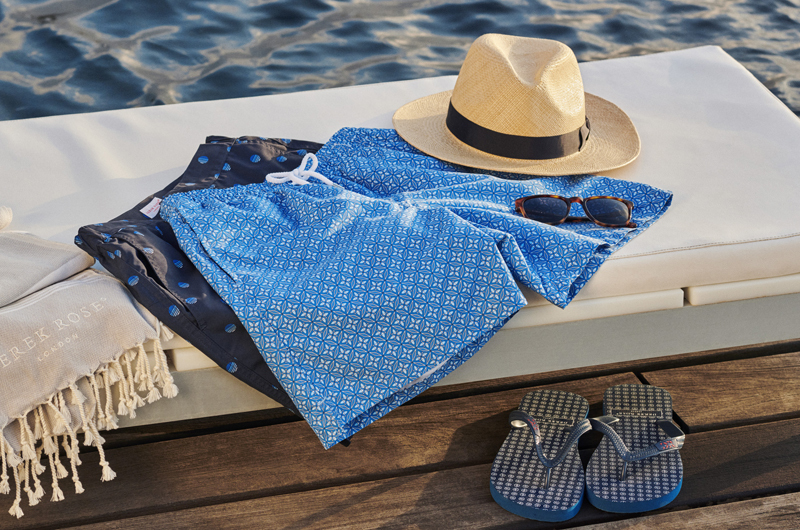 With its ribbed cuffs and drawstring hood, the Finley 2 provides a great fit that works for both lounging at home and off-duty weekend attire. This 100% cashmere hoodie also features our custom-made carbon zip-puller that is contoured to your natural fingertip curve and inset side pockets to keep your hands cosy and your belongings with you. The Finley 2 is part of our premium line of luxury, contemporary leisurewear, born out of the desire to create a garment which looks effortlessly chic but is still as comfortable to slip into as a favorite tracksuit. Lightweight and easy to fold and pack into your luggage, this hoodie also makes for the perfect off-piste ski attire. Seen here in a light and fresh blue, this has to be the chicest way to stay warm during the colder months.